As you all know I started to study Environmental and Sustainability Management this fall. Reason enough for me to search for sustainable Christmas present ideas, which make the presentees and the planet happy at the same time. Here come seven ideas, I came up with. Instead of presenting somebody with the 10th book or the 15th DVD go out and do something together! Wouldn't it be much more fun to go to see a movie together or rock at the concert of a cool band? In my experience people are always much happier about little adventures than things. If you need ideas check out the "Zeit statt Zeug" (Time instead of things) project online. They are proposing presents such as "cooking evening instead of cook book", "repairing instead of buying" or "country air instead of perfume". 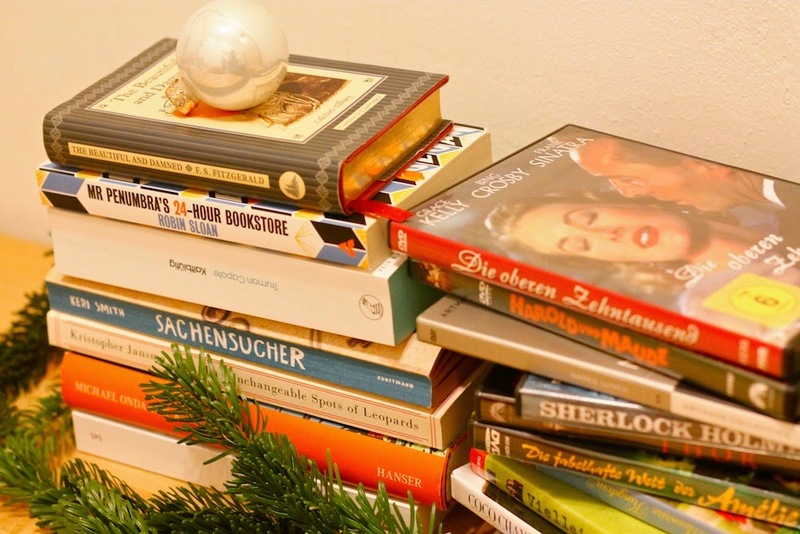 2) Books and Movies for free! Until some years ago I was a real collector of things: Books, DVDs, CDs, etc. Overloaded shelves and a cluttered apartment were the result. By now, I've luckily found out that you can enjoy music, books and films without actually owning them and for me the answer is borrowing. Vienna's public library for instance offers 1.5 million books, DVDs, magazines, CDs, audio books etc. for all ages, which you can borrow for several weeks. So if you know somebody who loves reading and watching movies but has limited living space (like most of us) present him or her with a library card for a year. If you're a maker, DIY-presents are of course always an option. 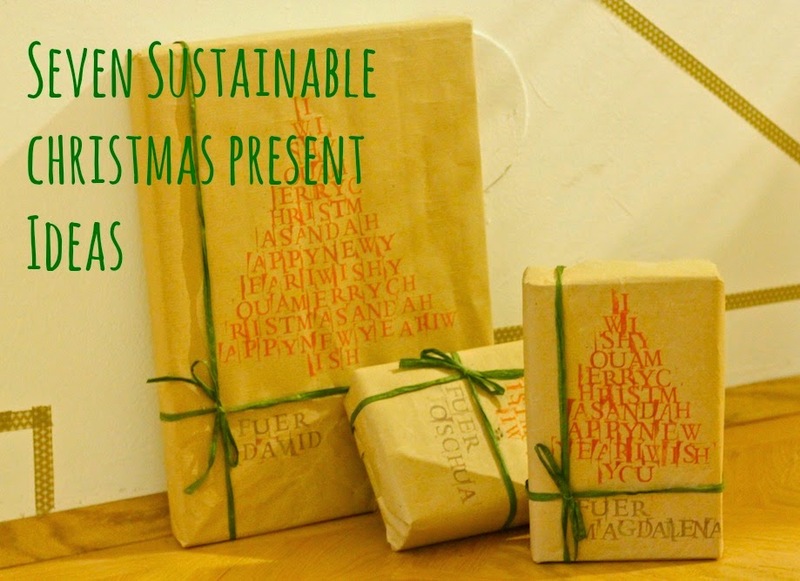 If you want to make a sustainable present use materials you already have at home or upcycle something. On Pinterest you can find tons of great upcycling ideas, if you need inspiration, such as this great denim whale made from old jeans, this cute DIY activity book, or this bag made from old T-shirts. 4) Everybody has to eat! For the last two years David's sister has presented us with baskets full of high-quality, organic and/or fair trade food for Christmas. I LOVE this kind of presents because personally I think that eating organic, regional products really makes a difference concerning taste, health and sustainability. Unfortunately those groceries are almost always much pricier than the regular stuff. So if you know somebody who loves good food as much as I do walk over to the next farmers' market, organic supermarket or regional specialties store and get some. An alternative to simply buying groceries is of course to cook/bake/make something delicious yourself. 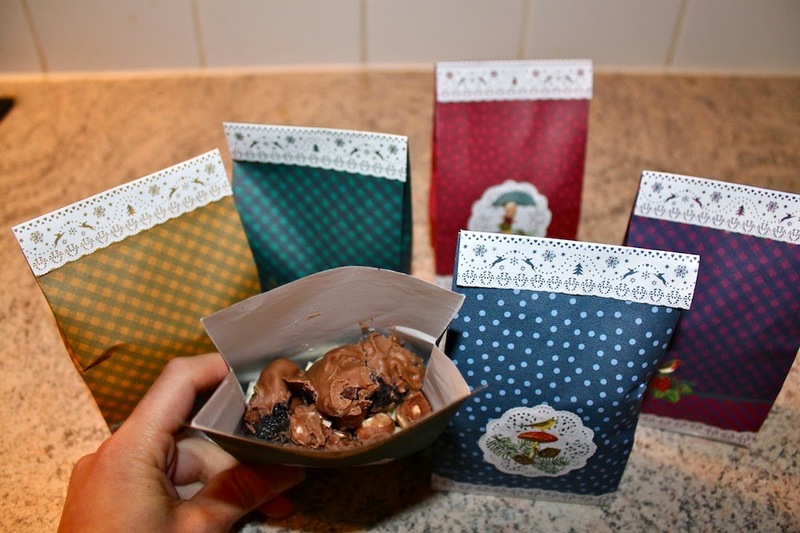 Last year for instance I made chocolate covered dried fruit for my siblings and they were the total hit! If you want to keep it sustainable just make sure to use organic/fair trade/regional products where possible. Is there something your boyfriend, brother or friend wanted to learn in a long time? Great! Set him/her up for a course! In this context you can either choose an actual workshop or course (in Vienna the Wiener Volkshochschulen offer a wide range of courses in all areas for instance) or, if the person is an online fan you can also get him/her an online course. For DIY fans Craftsy offers courses in every field (drawing, baking, paper crafts etc.). If you look for German online crafting courses check out makerist. You possess the wanted skill yourself? Even better - make a personal workshop for your friend including coffee and cake. This way you can also spend some time together. 6) Present something from your own belongings! Is there a movie in your shelf you don't necessarily need anymore but your sister would love? Or what about the dress your friend loves but which you haven't worn in a year? Often it is not necessary to go to a store and buy something new. Think about things you own, which would make somebody else happy! PS: This is no advice to hand your crap over to somebody else. I'm only talking well-preserved and/or special things from which you know for sure that the other person would be happy to have them! 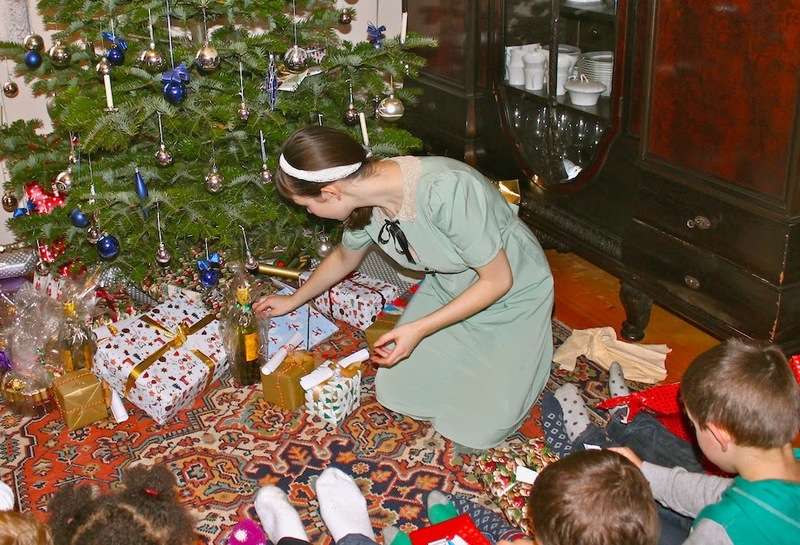 However, that doesn't mean that sustainable presents for kids are an impossibility. If you buy toys for example, consider buying toys made from wood or other sustainable materials instead of plastic. The Austrian start-up "bioblo" for example recently came up with a new kind of bricks made from a completely recyclable material of wood and (mostly) sugar cane. Another way to save resources might be to buy second-hand. On market-sites such as willhaben.at in Austria for example you can find games and toys en masse, some of them completely unused and still in their original packaging. Last but not least there are also many great DIY present ideas for children out there, such as this story book cottage and cube or (if you want to go big) this play shop made from a dresser top. I hope you can use some of these ideas! Ich finde deine Ideen gut. Es zeugt von Nachhaltigkeit und das man auch mit wenig Mitteln schöne Geschenke machen kann. Aber vielleicht sollten wir zu Weihnachten auch das Wesentliche im Auge behalten. Es ist immerhin für die Christen die Geburt Christi und es sollte ein Fest der Liebe, des gegenseitigen Verständnisses und der Toleranz sein. Vielen Dank für das Kompliment! :) Ich selber bin nicht so religiös, aber ich gebe dir völlig Recht hinsichtlich des Verständnisses und der Toleranz! Fände es aber noch besser, wenn diese beiden Dinge das ganze Jahr über einen höheren Stellenwert einnehmen würden und nicht nur die paar Wochen um Weihnachten.